Killamarsh Carnival 1933-34. Photo courtesy of V. Hopkinson. 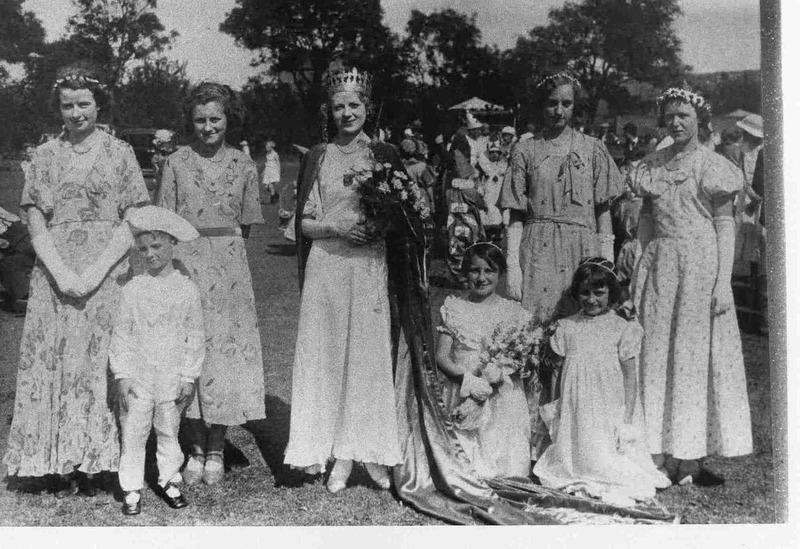 That’s my mum Vera Cocking as the Gala Queen (or whatever her title was). My late sister Cynthia Emson (nee Godfrey) also lived in Killamarsh, as did my late Auntie Sheila (Sikorski). We lived in Brimington nr Chesterfield where we had a shop till 1973. I live in Essex but still visit my Emson relatives in Killamarsh. Mum died in 1985. She was a hairdresser and beautician at Coles in Sheffield before the war. Always a beautiful lady, inside and out and she is buried in the cemetery in Killamarsh.